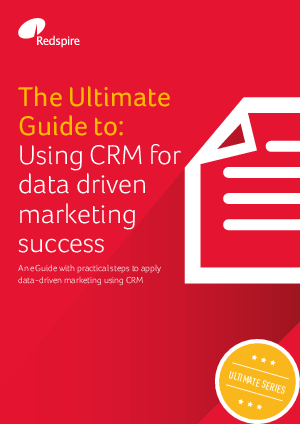 Everyone agrees data-driven marketing holds great promise for getting the most out of your CRM system. But most articles on it are overly broad: general principles, rather than practical actions. This Ultimate Guide takes a different approach. It won’t dazzle you with some vast landscape of opportunities just over the horizon (although they exist). Rather, it’ll give you some practical and concrete steps you can take right now to instil a data-driven culture in your organisation. Not just at the strategic level - but among all the people tasked to deliver that strategy.